Are you looking for a challenging and rewarding sales role? The unique chance to work with a great team at NZ's premier Ford Dealership is now open. 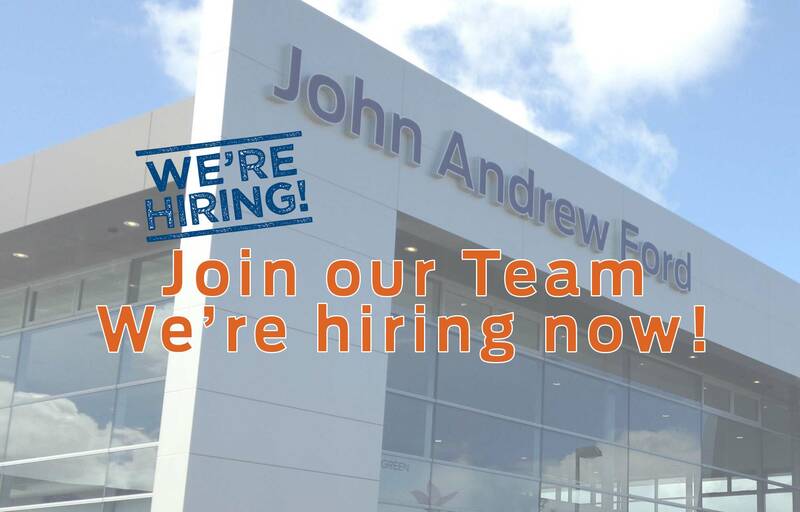 John Andrew Ford New Retail is looking for a superstar in the making, to join our vibrant and dynamic sales team as Trainee Sales Consultant. With over 105 years of experience in the motor industry we pride ourselves on the quality and professionalism of our team. This is a rare opportunity to join the team at one of New Zealand’s leading franchise dealerships. Applications including current references should be emailed to Richard.Hambridge@johnandrew.co.nz no later than Friday 26th January.